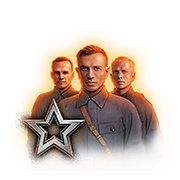 From 16 April at 07:00 CEST to 20 April at 07:00 CEST (UTC+2) you can get some extra consumables and experience. How? Easy, the more reps the more rewards you get! And while you are doing it, why not introduce some real exercise in the middle of your battles? Remember, stay active or all that Premium Food Consumables are gonna hit you hard! Previous Entry Frontline: Brace Yourselves Episode 3 is here!